A.J. 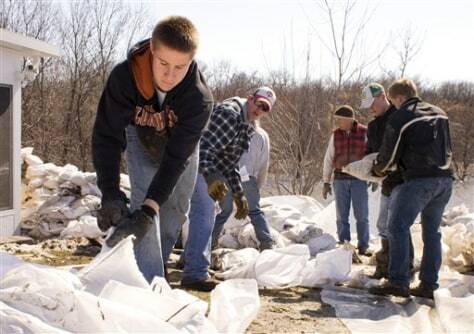 Luick, left, prepares to hand a sandbag to fellow Kindred High School student Lukas Croaker while volunteering on Monday in Oxbow, N.D. Many residents are preparing for the second flood crest which is expected later this month.